November | 2013 | Sing. Dream. Hope. Pray. Well, we’re just about three months into the school year and munchkin was transferred to a new class this week–a move his ESE team and I decided upon last week. For a rigid child who doesn’t handle change well, it’s been a tough week. I can’t tell you how many times he’s asked me, “When do I get to go back to Miss A’s class?” I think I’ve had almost as tough a time with this as Jackson has. There’s comfort in the known for all of us. Jackson’s new class is vastly different than his previous class. Miss A’s class had grown to a mix of twenty-plus girls and boys, typical children and children with mild developmental delays. His new class has eight children, all boys, all of whom are on the autism spectrum with developmental delays of varying degrees. It’s a lot to get used to for me as a parent, so I’m certain it’s a lot for Jackson to get used to as well. True to form, I can’t pull any information out of Jackson with respect to what they’re working on or what they’ve been doing in class. I do believe the emphasis has been taken off academics and now focuses on the social skills required to interact in a classroom setting. While this social component is much needed and certainly something Jackson obviously lacks, it enforces the reality that munchkin is non-typical—something I’m occasionally still coming to terms with two years post diagnosis. I’d be lying if I said I wasn’t sad that Jackson isn’t with the children he’s become accustomed to over the past three months. I’m sad that he misses the class gerbils, Peach and Penelope. I’m sad that his former classmates are busy making paper turkeys and various Thanksgiving-related crafts and eagerly planning a Thanksgiving feast, while Jackson doesn’t even know a major holiday is around the corner. I miss the loving and compassionate Miss A whom I’ve grown to trust and have enormous admiration for. And most of all I miss those adorably catchy songs he came home singing for hours on end. Oh well, onward and upward, right? This entry was posted in Autism, Education, Parenthood and tagged ASD, autism, developmental delays, education, parenthood, parenting, school, special needs on November 16, 2013 by Bobbie DuBose. 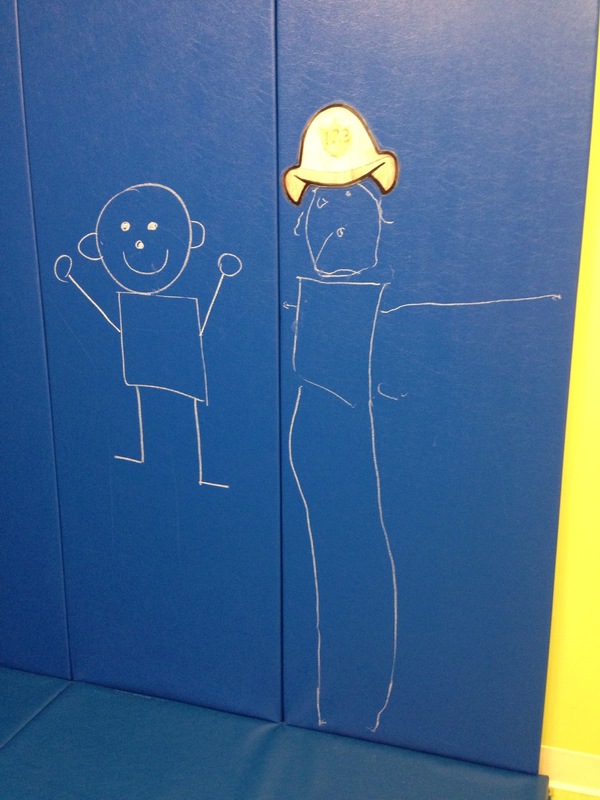 This Fireman Sam sketch might not look like much to the untrained eye, but this proud mama recognizes it as the masterpiece it truly is. Halloween has come and gone. Thankfully. I’ve never been a big fan. Even as a child it was a pretty disappointing holiday. I grew up in a really rural area in Western Pennsylvania. We literally lived in the middle of nowhere. Our neighbors were half a mile or more away, depending on the direction you traveled. Add to this disappointment the fact that it was always bone chilling cold and Halloween was pretty much a bust. Halloween was more celebratory when my daughter was a child. We lived in a neighborhood with families and children, so she always had a great time. Fast-forward twenty-five years to Halloween 2009 and I would have told you I expected more of the same with munchkin given our neighborhood. Notice I said, “I would have told you,” not “I can tell you.” That’s because it didn’t work out that way. From Jackson’s very first Halloween he has fought any and every part of this cursed holiday. Jackson has never accepted any type of costume—no matter how unobtrusive. From checkered shirts and jeans (cowboy) to tank tops, shorts and sneakers (basketball player), Jackson has hated costumes. Every bit of it is overload for him. Too much chaos. Too many people. Too much noise. Too many folks in his face grilling him as to why he isn’t participating in this silly, nonsensical event. And let’s not forget he’s an extremely literal child. The boy honestly thinks a person is permanently transformed when they put on any type of mask, makeup, prosthetic or outfit. Until this year, the costume parades at school have yielded no better results. The year before last the poor child was traumatized and clung to me while screaming at the top of his lungs. Everything about Halloween is simply too much for him and by virtue of this, it’s too much for me too. Jackson had no desire to don his costume a second time to participate in the trick-or-treat aspect of Halloween. Which is more than fine by me. The child has never had a single, solitary piece of candy. His choice. So sitting out the door-to-door process is of absolutely no consequence to him whatsoever. 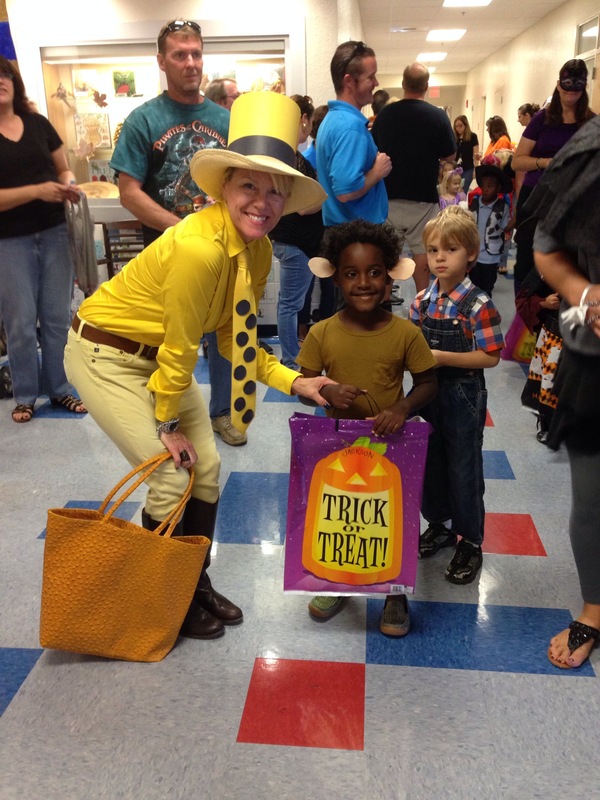 This entry was posted in Autism, Parenthood, Uncategorized and tagged ASD, autism, Halloween, sensory, SID, SPD on November 6, 2013 by Bobbie DuBose.